Well I'm cheating at bit this week and having two photos. I missed last week by not having any internet and struggling to get photos loaded or anything to work quickly. So this week I have two. 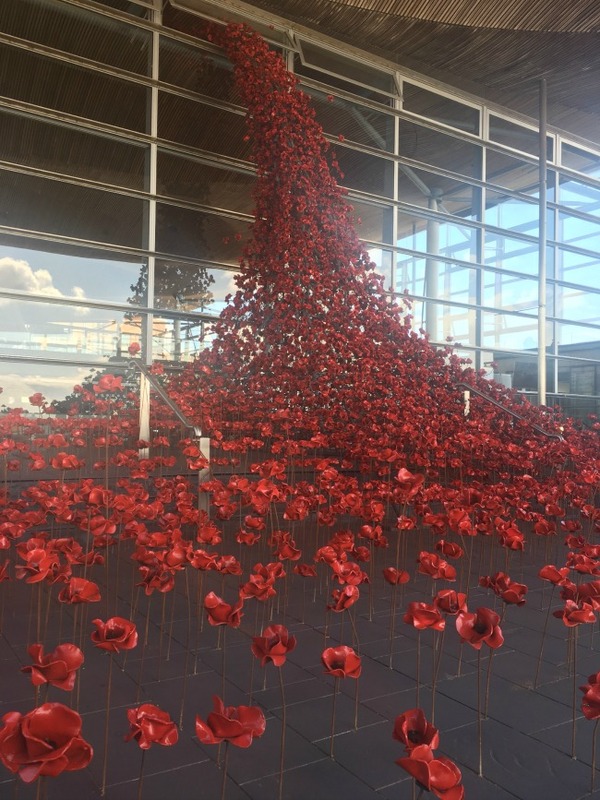 The first is of the Weeping Window at The Senedd in Cardiff. It is made up of thousands of handmade ceramic poppies. They can be seen from outside and inside the Senedd (The home to The National assembly for Wales). They are a small part of the sculptural installations, Blood Swept Lands and Seas of Red, that were at the Tower of London in 2014. They are in Cardiff until 24th September. They are both beautiful and poignant. 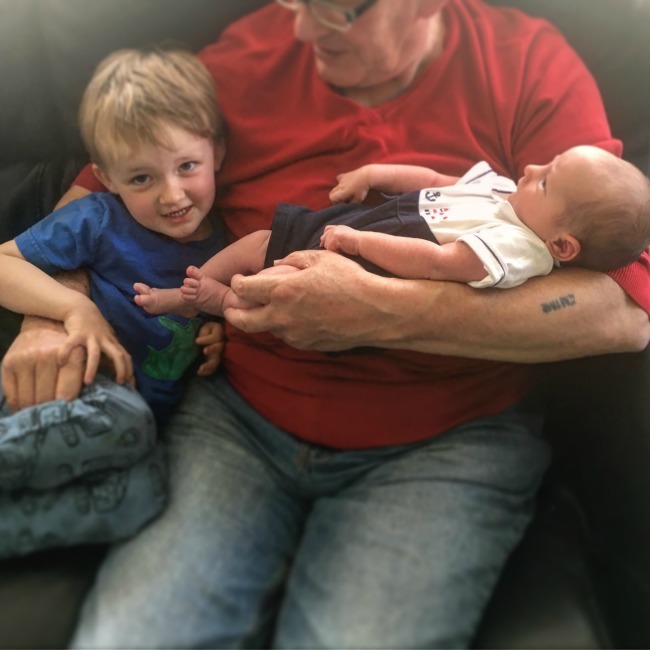 The second is of my gorgeous grandsons (of course). Bear is becoming the best big brother and although he does have some jealous moments he is mostly being so lovely. I think I will miss these and I'd like to see them, I wonder if they will come down to Cornwall? Hi Cardigan, can't the internet be frustrating at times? I remember seeing photos of the poppy display in London a few years back and it looked stunning and the significance makes it even more breathtaking. A big congratulations on becoming a Grandma again. I hope Bear & Baby grow up to close, with just the right amount of squabbles thrown in! Haha! Yes squabbles are all part of growing up! Ahh! The Weeping Window is beautiful. A very powerful display.